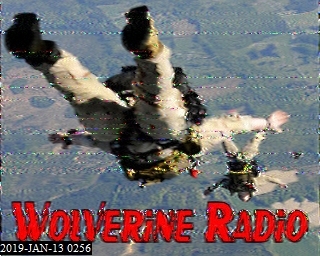 0058: Wolverine Radio I.D. into Bessie Smith "Nobody Knows You When Your Down And Out"
0101: The Boswell Sisters "I'm Gonna Sit Right Down And Write Myself A Letter"
0104: Billie Holiday "You Let Me Down"
0107: Ella Fitzgerald "When My Sugar Walks Down The Street"
0110: Louis Jordan "I Know What You're Puttin' Down"
0113: Ruth Brown "The Tears Keep Tumbling Down"
0116: Another I.D. into Rex Hale "Down At Big Mamas House"
First song for Wolverine Radio. Very good signal. 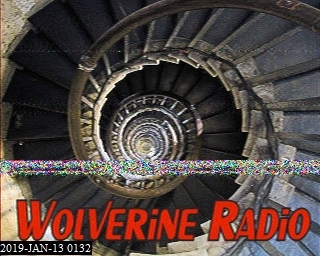 Wolverine Radio ID after several songs. Signal almost S9 with fades to S7. 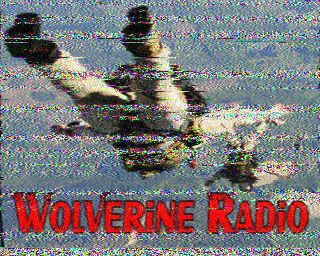 Thanks for the show Wolverine R.
Way down in the noise...unusual for Wolverine. Popped up just before the hour with "Testing 123, can anybody hear me" jingle, then ID. 0100z- Bessie Smith - "Nobody Knows You..."
0103z - Boswell Sisters - "I'm gonna sit right down..."
0102 pretty weak signal tonight. 0108 using Token's kiwi SDR in the Mojave, and it's better there but still pretty weak. Wolverine has all but disappeared at my QTH as the band goes long and the MUF sinks. 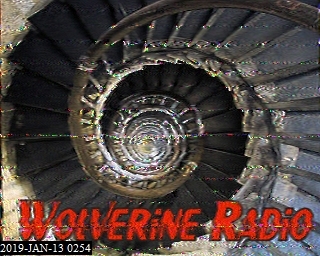 0133 signal's completely gone in Colorado and faded bad in California... maybe Wolverine could be persuaded to QSY and replay the show? Thanks Wolverine! Signal's only about S4 on the S meter here, but it should be a stable frequency. 0130 - "The Night They Drove Old Dixie Down" The Band, S7 to S9, occasional peskies underneath. 3440 - 0136 ID and "Nobody know you when your down and out"
S3 with fades into AL. Sounding good but not the usual 20 over signal I get here. Thanks for the show! Wolverine a little down from normal here, about S5 or so, but still usable. On the house sound system and wife is listening. (edit) Unfortunately peskies moved in, and are stronger than Wolverine is tonight. Wolverine is S5'ish, and the peskies are S8. Finally hearing some talking just above the noise as of 0117 UTC. 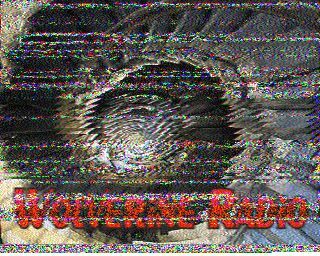 Tuned in at 0127utc, weak signal, oldie from first half of 1960's called "sit down I think I love you", at 0130utc "the night they drove old dixie down", SSTV/FAX at 0132½utc. At 0206utc retuned to 3440usb, hear oldie from 1960's, at 0208utc hear "the night they drove old dixie down", signal improved slightly by 0220utc, at 0223 Janis Joplin "down on me", SSTV/FAX at 0255utc and again at 0257.